It is with heavy hearts that we announce the passing of Olga Dyck. She passed away peacefully on Monday, September 10, 2018 at Concordia Hospital after a stroke. 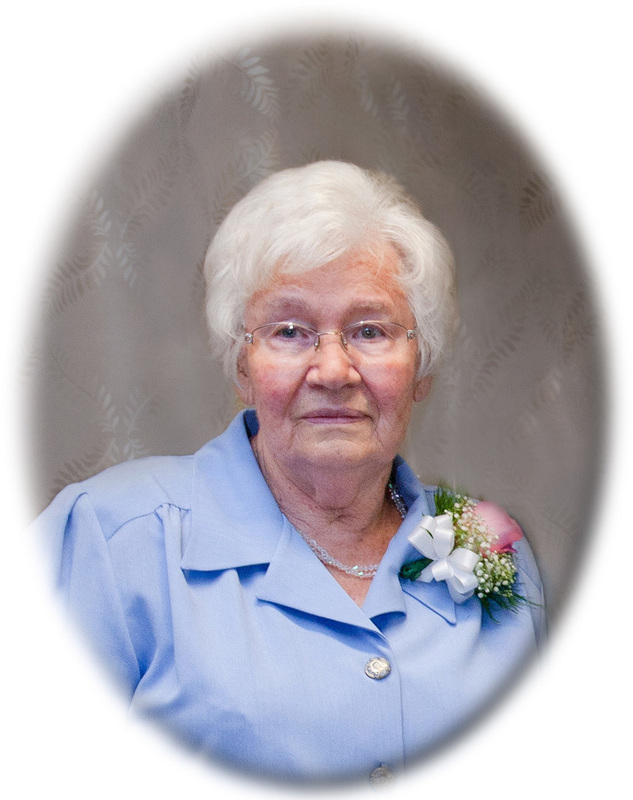 Olga will be dearly missed by her husband Jakob; daughters Kaethe Neufeld and Rosemary (Roland) Sierks; daughter-in-law Elma Dyck; grandchildren Karen (Dave) Lavallee, Heidi (Ron) Dueck, Peter (Shannon) Neufeld, Karl (Rena) Neufeld, Robert (Veronika) Dyck, Alvin Dyck, Angela (Jason) Grierson, Katherine (Shane) Thiessen, Michael Sierks, and Paul Sierks; 15 great-grandchildren; 2 great-great-grandchildren; and sister Anna Bartel. She is reunited with her son Jake; son-in-law Henry Neufeld; grandchild Eddie Neufeld; and sisters Kaethe Jost, Helene Wiens, and Luise Hirschfeld. 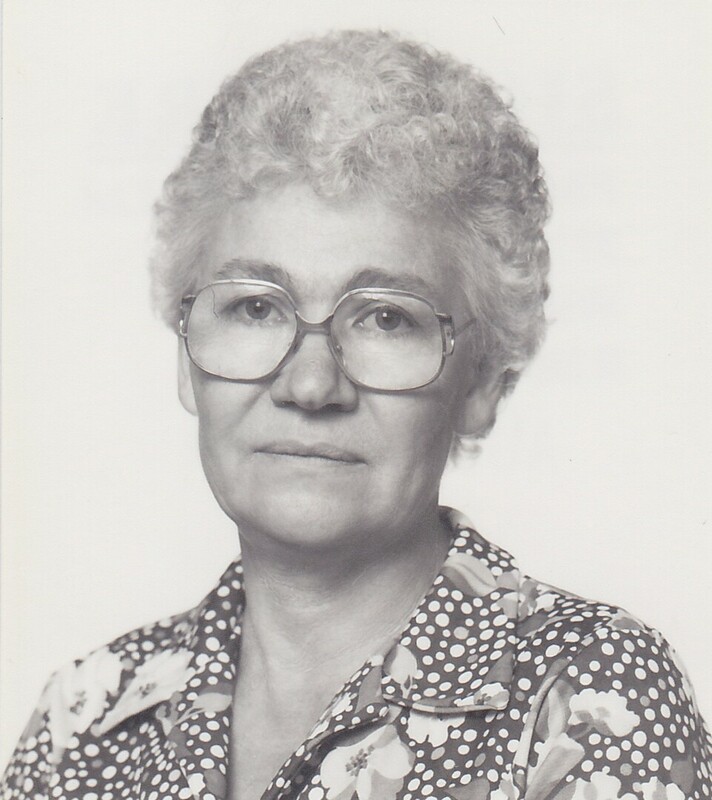 Olga was born on January 24, 1930 in Nieder-Chortiza, Ukraine to Peter and Katherine (nee Thiessen) Wall. She was baptized on December 7, 1947 in Gronau, Germany. Olga and Jakob married on February 11, 1948. During the war they fled to Paraguay and started a family together. Five years later they moved to Argentina. Olga and Jakob immigrated to Canada in 1958 for a better life and they settled in North Kildonan, where they had a new addition to their family. Olga worked as a nurse and had other various jobs. She volunteered at the thrift store and made blankets for the MCC. She was a long and faithful member of the North Kildonan Mennonite Church. Olga loved gardening and sharing their harvest with friends and family. Olga was known for her traditional baking and cooking. She enjoyed sewing, quilting, knitting, and crocheting. Olga always loved and supported her family. We give special thanks to the caring staff at Riverwood and Irene Baron. The funeral service will be held on Saturday, September 15 at 11:00 am at North Kildonan Mennonite Church, 1131 Roch Street, Winnipeg. The viewing will be at the church one hour before the service. Interment will follow at Glen Eden Memorial Gardens, 4477 Main Street, West Saint Paul. Donations may be made to the Mennonite Central Committee or the Heart and Stroke Foundation. Arrangements entrusted to Friends Funeral.